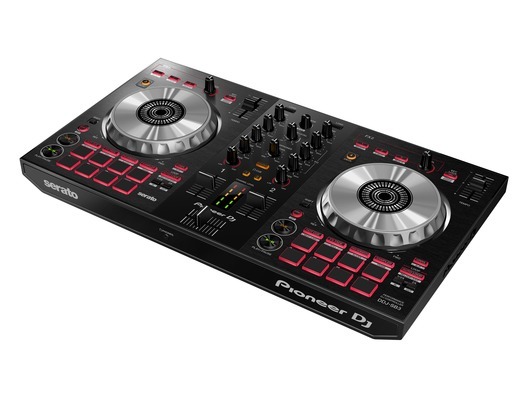 The Pioneer DJ DDJ-SB3 is the upgraded version of the top selling and industry renowned DDJ-SB2 DJ Controller. 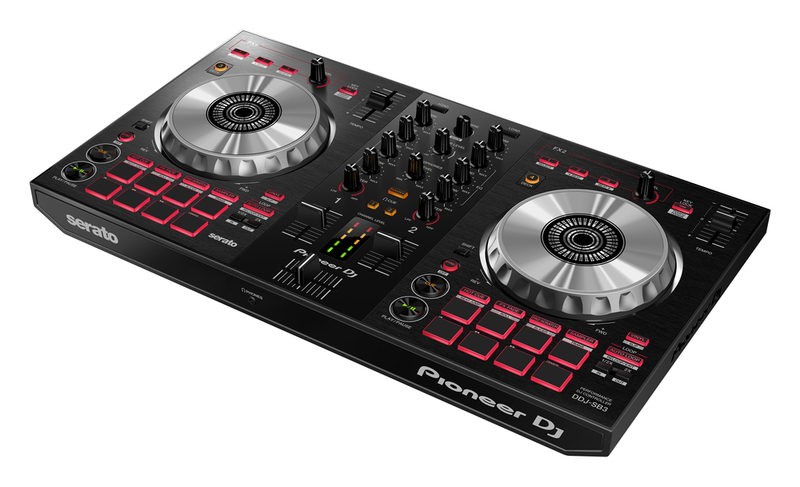 With a greatly improved look, the DDJ-SB3 is also full of extra features while simultaneously keeping a recognisable layout so that users of the DDJ-SB2 will feel right at home when using the Pioneer DDJ-SB3. 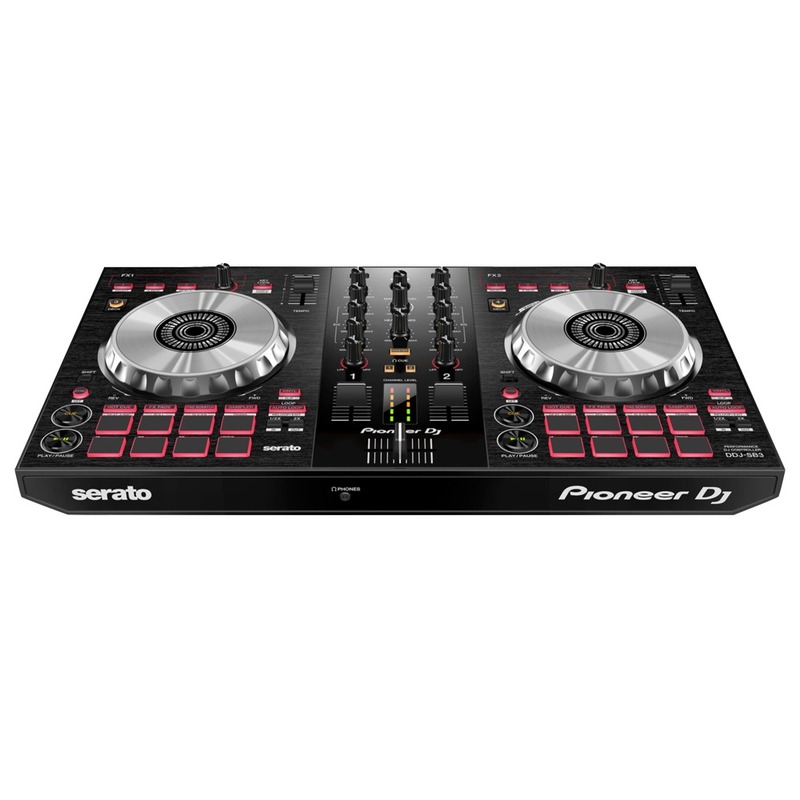 The controller includes Serato DJ Lite, so comes with the software you'll need to start mixing straight away! 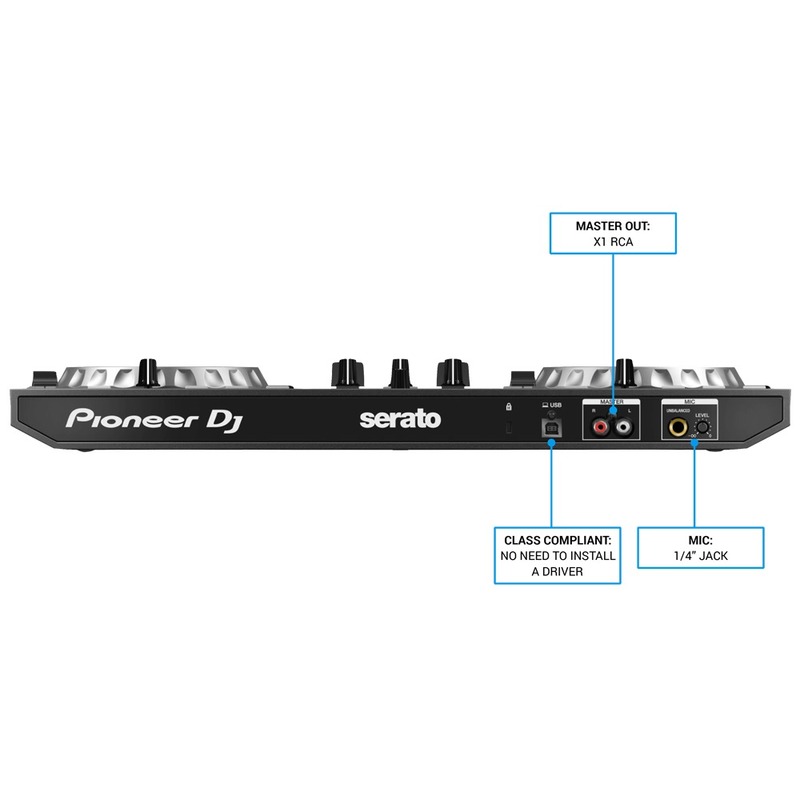 Weve upgraded one of our popular Serato DJ controllers to create the 2-channel DDJ-SB3, designed for dedicated use with Serato DJLite (previously known as Serato DJ Intro). 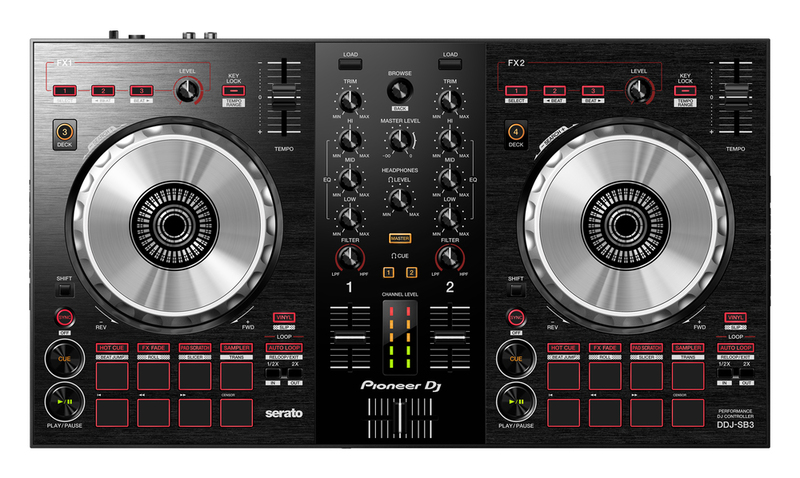 The new controller offers an intuitive interface for beginner DJs to craft professional performances and improve their skills. In collaboration with DJ Jazzy Jeff, weve created Pad Scratch. The brand-new feature on the DDJ-SB3 enables you to reproduce scratches based on the legendary hip hop DJs own recordings by simply pressing the Performance Pads. Plus, smooth mixing is a breeze thanks to another new feature, FX Fade. You can use these features to create a professional performance, even if its your first time behind the decks. By simply pressing the Performance Pads on the DDJ-SB3, you can use the Pad Scratch feature to imitate eight different scratch techniques recorded by DJ Jazzy Jeff. Any track that youre playing or have cued up will be scratched, and the scratch speed automatically matches the tracks BPM. So even if you have no experience, you can create professional scratch performances without breaking rhythm. Use the feature in isolation or combine it with your own scratching on the other deck for limitless creative possibilities. 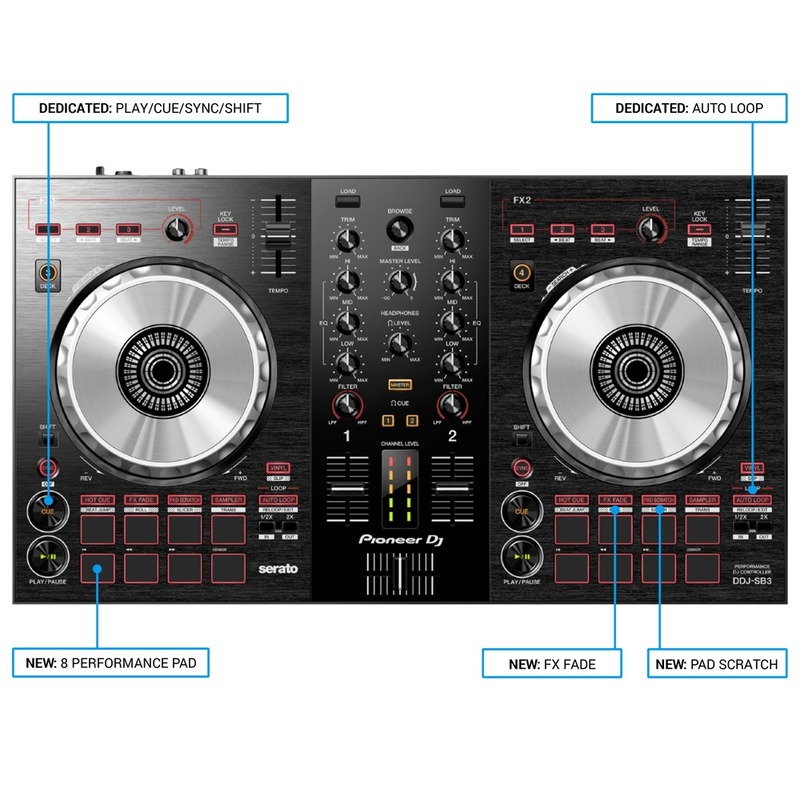 *Worlds first feature of this type in the DJ controller category (according to internal investigation as of 21st February 2018). Using the new FX Fade feature, you can reduce the volume and apply FX to a track at the same time. Whether youre an experienced DJ or a beginner, this enables you to smoothly transition to your incoming track, even if youre playing with different genres of music. There are eight FX patterns to choose from, with two of each of the following types: high pass filter, low pass filter, loop playback and back spin. The DDJ-SB3 feels natural to use thanks to the clear visual division of the player and mixer sections, which feature a hairline and glossy finish respectively. The aluminium jog wheels create a quality look and feel.